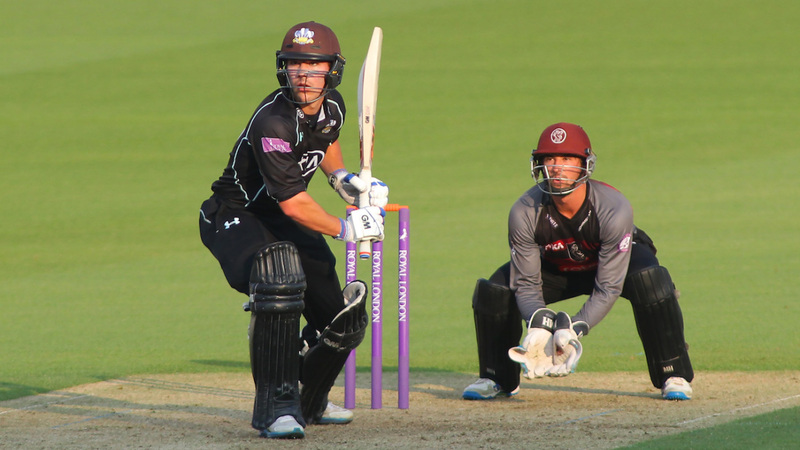 "I've got a doctor's note"
Rory Burns, the strongest contender to replace Alastair Cook in the England batting line-up, has to tailor his batting to suit an idiosyncrasy. "I got told I was left-eye dominant, so [looking to mid-on] is about me trying to get my left eye on the ball as much as I can. Then it almost became a rhythm thing in terms of little routines at the crease." While some people might simply have cleared the front leg - Cook himself did so, later in his career - Burns prefers to keep his entire body fairly closed off, except his head, which he twists to the left a little more than usual. If you're not sure what that looks like, you've never experimented with Legos. "I turn my back on you"
In December 2016, around the time he first started to bat with his bum pointed at the bowler, Cricket Australia interviewed with George Bailey, in which he conceded, "I'm the first to admit that it's nuts. That's why I really don't like looking at it." So why did he go to such extremes? And only three years after an ODI tour of India where he scored runs with such ease that he was averaging 95.6 at that? Self-improvement. Duh. Bailey discovered that he was getting squared up when he batted the normal way, and in swinging conditions especially, his hands would stray from his body to try to compensate. So as a "ruthless" measure, he forced his body into a closed-off position, with his left leg ahead of the line of the right, and with the toes of both pointing somewhere in the region of third man. Wonder how he worked out the specifics. By poring over hundreds of hours of footage? Maybe. Calling his coaches in the middle of the night? Possibly. Randomly turning to look behind point, after taking the proper stance, only to be hit by a eureka moment? Most likely. In any case, he said it kept his back foot perpendicular to the pitch, which he believed was vital to his game. The coaching manual instructs batsmen to face their enemy with feet that are roughly shoulder width apart. It's a balance thing, allowing for both a smooth press forward or a quick push back. Ijaz Ahmed clearly didn't buy that theory. Pakistan's long-time No. 3 scored nearly 10,000 international runs, all the while batting as if his shoelaces were tied tight together. The cameras at point would catch the image and relay it all around the world - how there was no space between his legs and yet he'd somehow squeeze his bat in there, hacking into the ground while he waited for the bowler. It was outrageous. Just like his Test match stats in Australia (three hundreds and one fifty at an average of 41) and England (one hundred and five fifties at an average of 55). One of his team-mates, Aaqib Javed, speaks of how, as a young tearaway, he would mark a spot on a wall and bowl at it for hours on end to improve his accuracy. 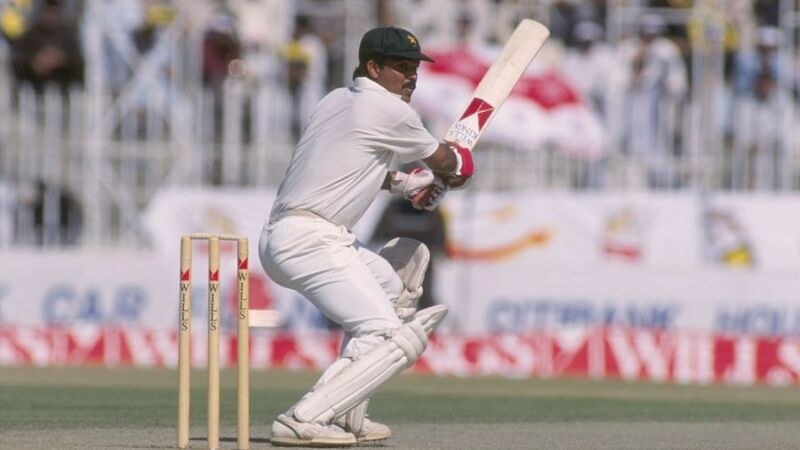 Perhaps Ijaz honed his skills in similarly improvised settings - like a single tiny plank of wood stretched out over a lake filled with hungry crocodiles. Sometimes there are good reasons for the things batsmen do at the crease - Shivnarine Chanderpaul opened his stance up because he wanted to watch the ball with both eyes - and sometimes there aren't. And that is how we know comfort is just as important as hard work and training in this game. Kaushal Silva really needn't shuttle his top hand from his thigh back to the bat over and over and over again, but he does. Every single ball. Then he arches his back, thrusting his arms out and away from his body. Finally he settles into position. It's almost disappointing that at this point he looks the model batsman; it's like going to a magic show and not getting to see the lovely assistant cut in half. There is absolutely nothing strange about his stance, but the ritual preceding it is truly unique. Both it and he hold a special place in Sri Lankan cricket history as an integral part of a famous Test series win in England in 2014. Silva made twin fifties at Lord's - a game that his team drew in the dying light, with only one wicket in hand. Then at Headingley, they won the series. "I like to move it, move it"
Abhishek Nayar probably twerks oh so good. Bend the knees, stay low, jut your backside out... but before he can complete the lesson, some bowler or other interrupts him. And so he ends up playing cricket instead of rightfully taking his place as the next big thing in hip-hop. For the most part, he gives that impression because of how his hands are. While most players keep them hovering somewhere above the knees, his scarcely rise. 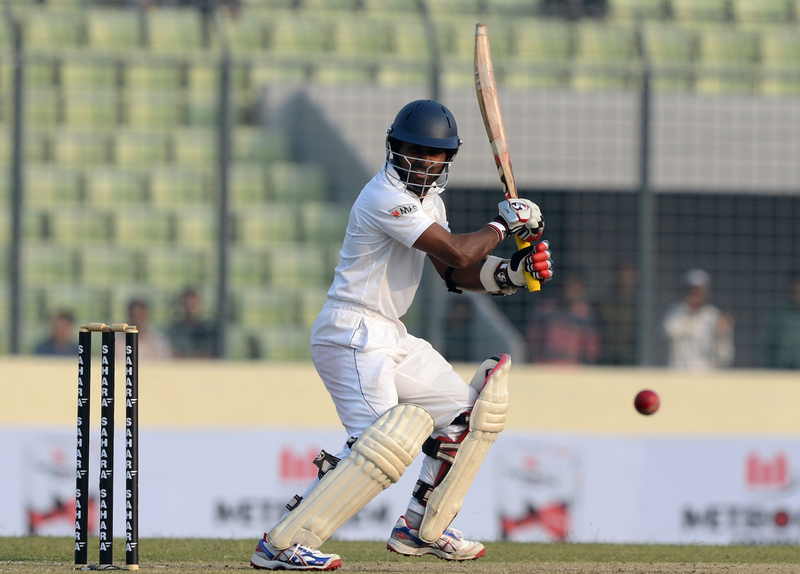 Despite this dramatic lack of backlift, which can be vital in timing the ball, Nayar has carved a legendary career and will be playing his 100th first-class match this season in India. 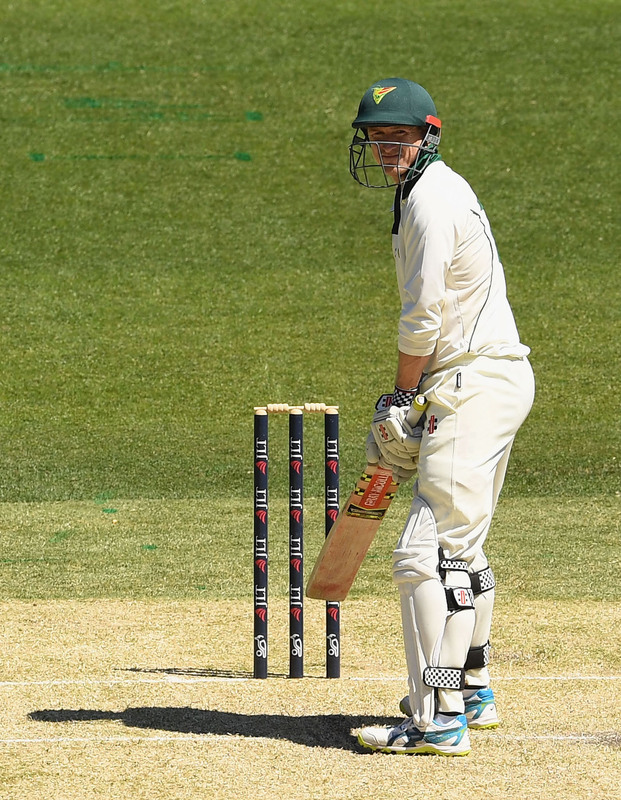 Poll: Who's got cricket's weirdest batting stance? George Bailey's unusual side-on stance has been a talking point for a while now. Where does it rank in cricket's Hall of Fame of awkward stances?